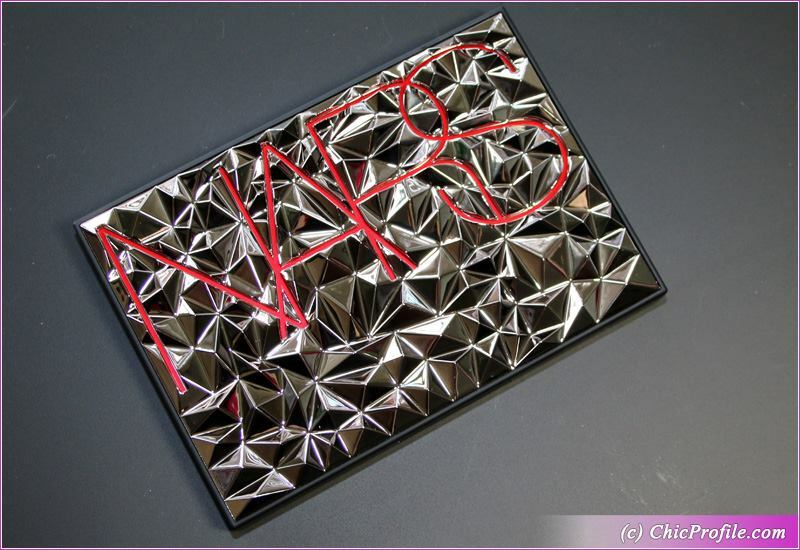 Now that NARS Hot Tryst Cheek Palette ($59.00) for is available is time for a full review. I’ve been using this palette a couple of times since I shared swatches and my first impressions with you. 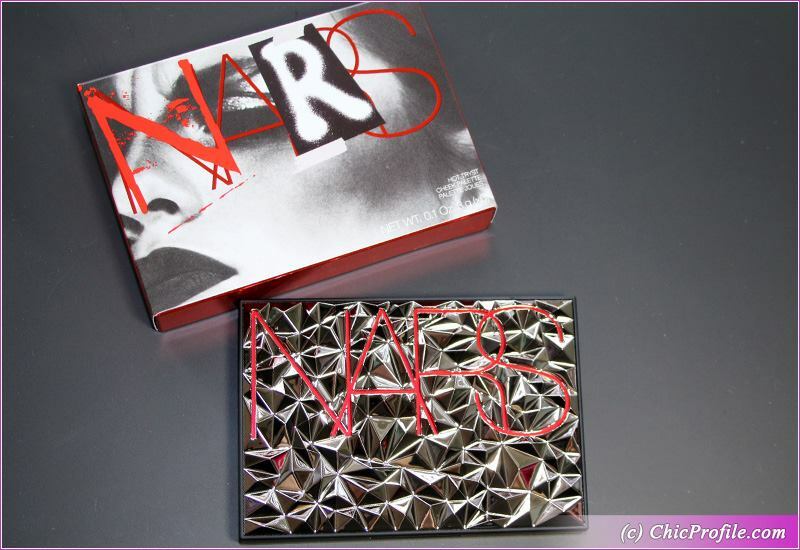 This is a new limited edition palette part of NARS Holiday 2018 Collection and features six shades that contour, highlight and pop. Basically you have quite a few good colors to choose from and it’s a palette suited for all skin tones. I can say each blush has a good fair amount of product and decent size so you can easily swirl you blush into it. The formula can be used wet or dry, depending on the intensity you want to achieve. At first I personally used all the shade dry, for a softer more day time look. The last to shades in the palette, even applied dry were to intense for my light skin. 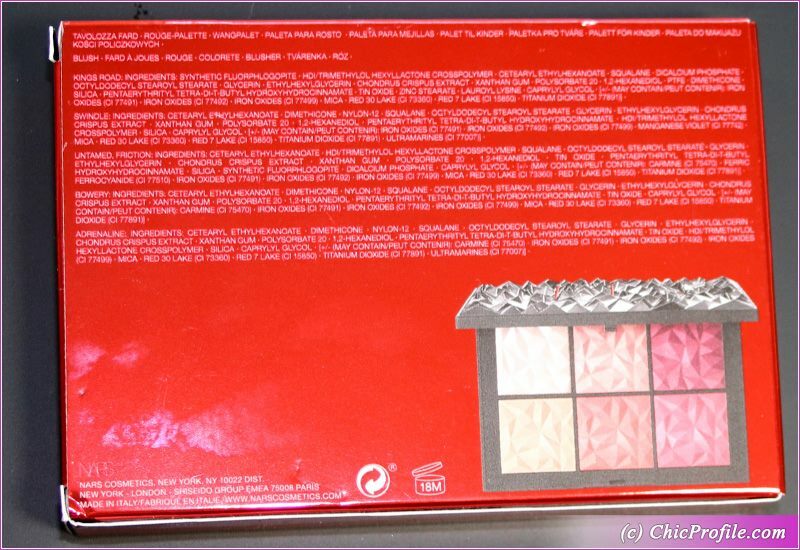 So basically even if you have darker skin you can make this palette work for you. Just apply the shades wet and you’ll get a great glow and depth. 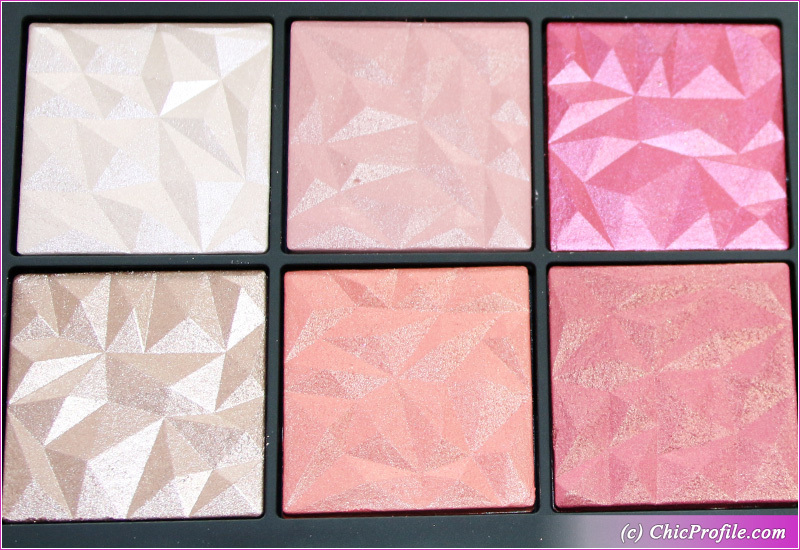 It’s a versatile palette as the blushes and highlighters have a hybrid gel-powder formula and you can play with them as you wish for a day or evening makeup look. 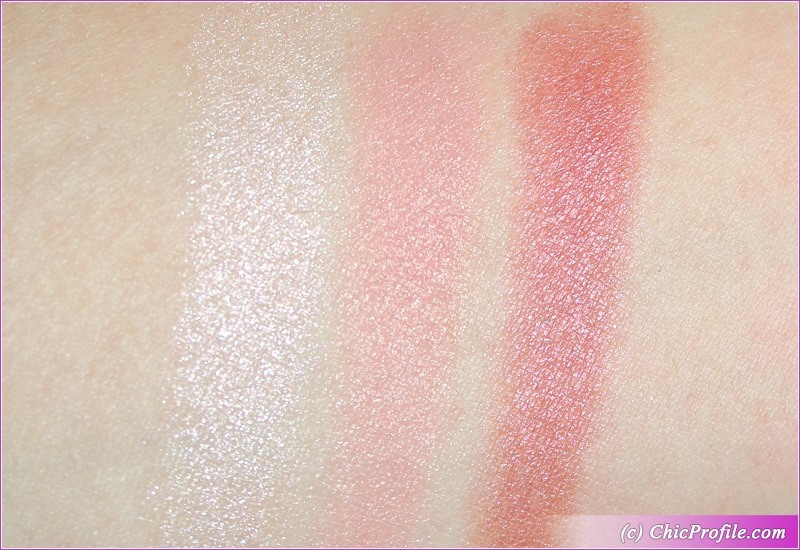 I swatched all the shades in the photos bellow on bare skin without any primer or makeup base. As you see most of them have a good coverage, ranging from easily buildable to semi-opaque or opaque. They are easily blendable and long-wearing so it’s definitely a keeper. Now it all depend if you like the color combination. Kings Road is a light, opalescent pink with warm undertones and a luminous finish. It has a semi-opaque color coverage which can be intensified with applied wet. The texture was soft and easily blendable while feeling a bit dense. I noticed it was a bit powdery when I applied it so I got a bit of excess product in the pan. It gave me a nice, natural and luminous glow without emphasizing my pores or skin texture. This one is a highlighter and looked very flattering on my light skin. I preferred to wore this one applied dry as I liked better the luminous finish, but it can easily work out for an evening look. On me it lasted for a bit over eight hours before I noticed it started to easily fade. Swindle is a pale pink with warm undertones and a soft sparkling finish. 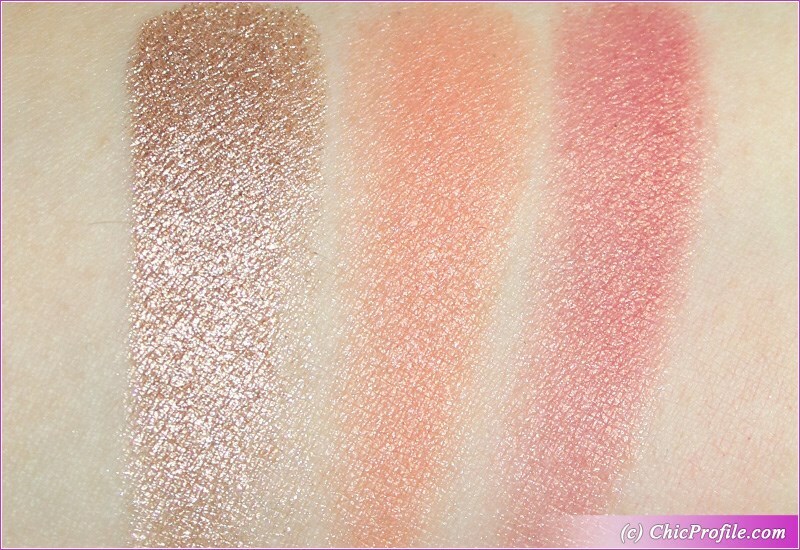 Even though you can distinguish the soft sparkles, this shade was the last shimmery in the palette. I personally like this way as it gives me a natural glow without emphasizing my skin texture. The color payoff was amazing, even applied dry. It is easily blendable with a smooth, velvety texture. This is the shade that I wore the most from this palette and that looks the best on my skin. Now talking about long lasting, I wore it well for a bit over eight hours. Untamed is a medium magenta with warm undertones and a touch of violet shimmering sheen. The color was semi-opaque applied dry on bare skin. It can be easily buildable but for my skin color is best to apply it with a light hand. This shade is perfect for those with medium or darker skin as you can easily intensity it if you apply it wet. I like that it was easily blendable, so blendable to the point that you can get a semi-sheer coverage with no fuss. The texture was dense, without being powdery and it wore well on me for nine hours. It didn’t emphasize my skin texture and I love it for that, even though is a shade that I didn’t use so much like the others. Friction is a medium taupe with warm undertones and a shimmering metallic finish. It has an amazing color payoff, being so intense and richly pigmented. This is definitely a highlighter that is a bit intense for my skin color so I have to apply it with a light hand. For medium and darker skin tones or for those with like an intense metallic shine could be the perfect choice. The texture was soft and smooth without kicking any excess powder in the pan. It was a pleasure to work it, having no fall-out, easily blendable and without emphasizing my pores or skin texture. On me it lasted pretty well for eight and a half hours. It goes on beautifully with you apply it wet, very flattering for an evening makeup. Bowery is a light coral with warm undertones and a luminous, soft shimmering sheen. It has semi-opaque coverage in one swipe on bare skin. I could easily build up the pigmentation up to full coverage but I didn’t like to wear it like that. This is my second favorite color in the palette, that really complements my light skin color. The texture is smooth, dense and applied evenly and easily. It was very easy to blend and worked well in combination with other products. I gave my skin a natural, fresh and luminous glow. In terms of last lasting formula, I had around eight hours wear with this formula. Adrenaline is a deep-dark raspberry-pink with golden undertones and a fine shimmer finish. 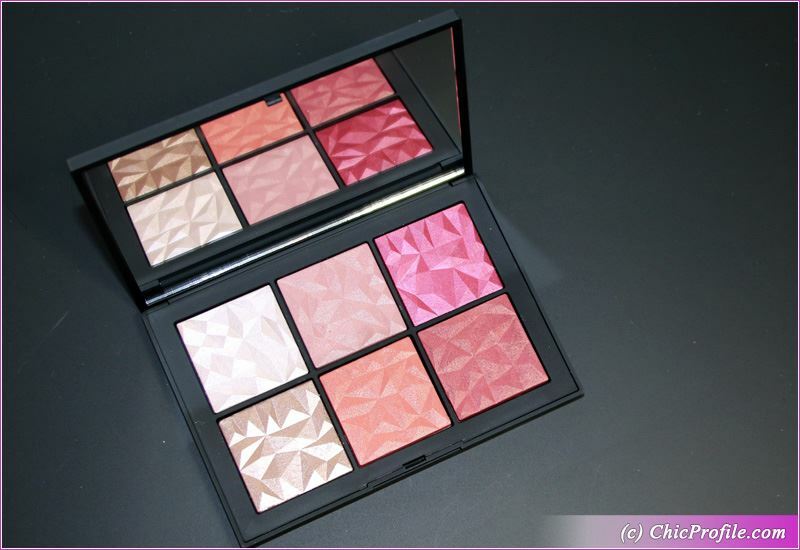 It has a rich and intense pigmentation in one layer on bare skin, applied dry. This color should be used with a very light hand if you have light skin. Otherwise it is a perfect shade for olive, medium and darker skin tones, especially if you are not color shy and you love intense blush shades. The texture is smooth but feels a little bit dense and stiff. It doesn’t kick off any powder in the pan and has no fall out during the application. It was easy to blend and it didn’t emphasize my skin texture. On me it wore well for almost nine hours.